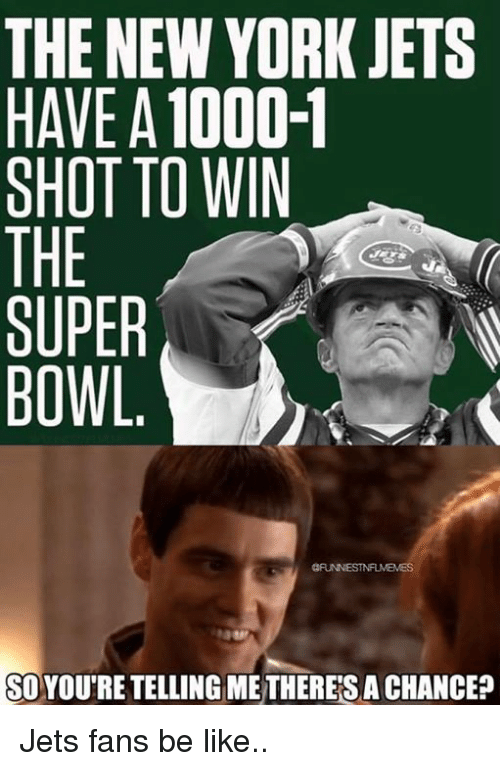 Be Like, New York, and New York Jets: THE NEW YORK JETS HAVE A 1000-1 SHOT TO WIN THE SUPER BOWL. SOYOU'RE TELLING ME THERES A CHANCE? 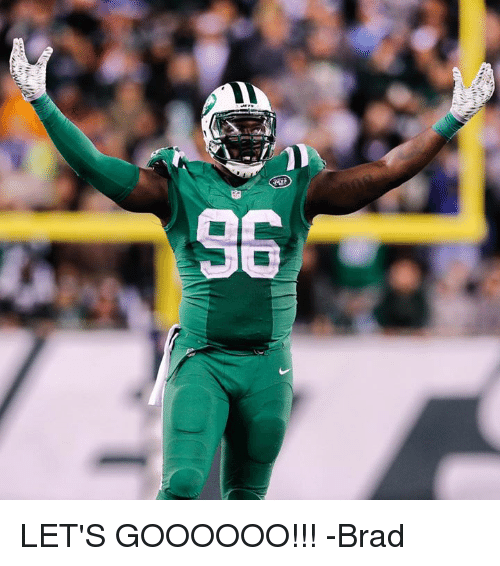 Jets fans be like..
San Francisco 49ers, Carolina Panthers, and Chicago Bears: hr Matt Miller's Final Regular-Season 2017 Mock Draft Top 10 Cleveland Browns New York Jets 01 Myles Garrett OG Tim Williams LB Alabama DE Texas A&M San Diego Chargers San Francisco 49ers 02 Mitch Trubisky (SA D7 an Ramczyk T OT Wisconsin OB North Carolina Chicago Bears Carolina Panthers 03 Josh Allen OB Leonard Fournette RB LSU QB Wyoming Jacksonville Jaguars Cincinnati Bengals 04 Jonathan Allen 09 Reuben Foster OL Alabama LB Alabama Buffalo Bills Tennessee Titans 05 Mike Williams 10 Deshaun Watson WR Clemson V QB Clemson The Bears gamble with an unknown QB at No. 3 while Jabrill Peppers continues to fall. 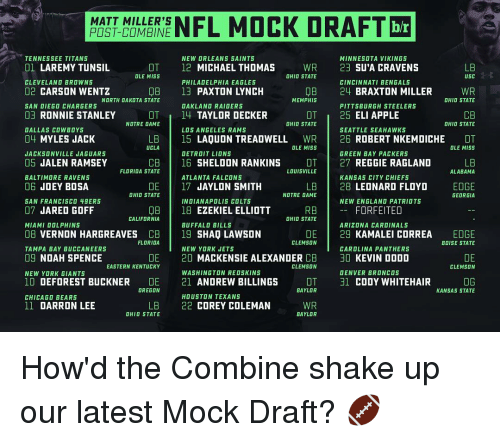 Link to Matt Miller's final 7-round NFL mock draft in bio. 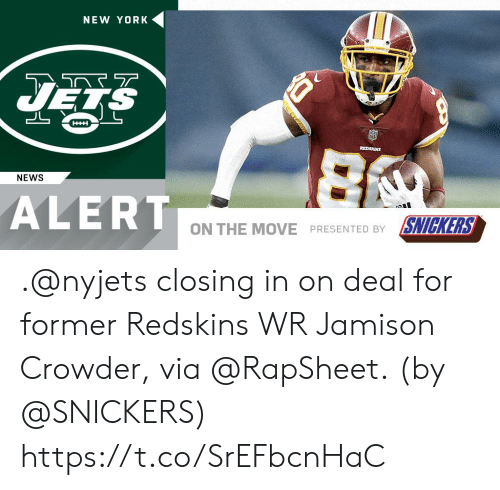 New York, New York Jets, and New York Post: DO THE NEW YORK JETS WANT TO TREAT MY SITUATION WITH CLASS OR NO CLASS?... 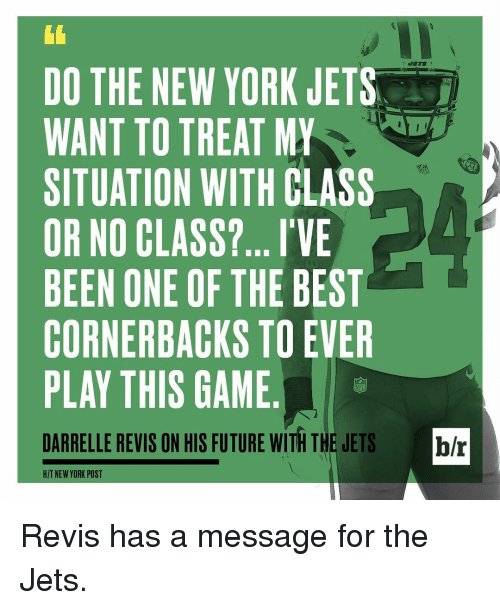 I'VE BEEN ONE OF THE BEST CORNERBACKS TO EVER PLAY THIS GAME DARRELLE REVIS ON HIS FUTURE WITH THE JETS br HIT NEW YORK POST Revis has a message for the Jets. 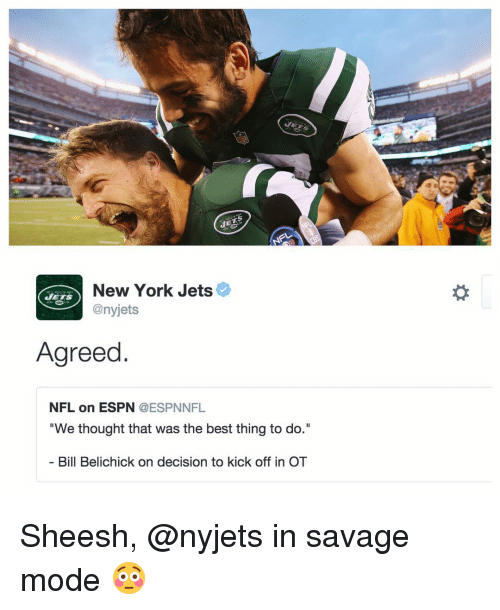 Revis has a message for the Jets. 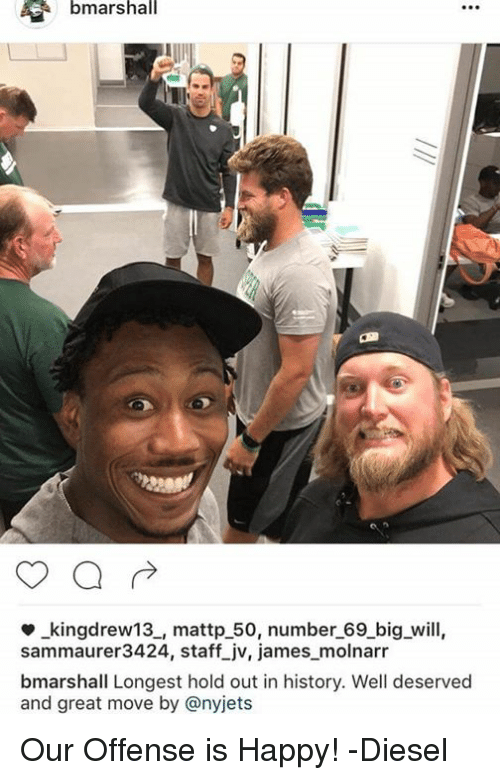 Cincinnati Bengals, College, and Dating: Ryan Pickspadick Fitzpatrick after throwing his 1 billionth pick No. 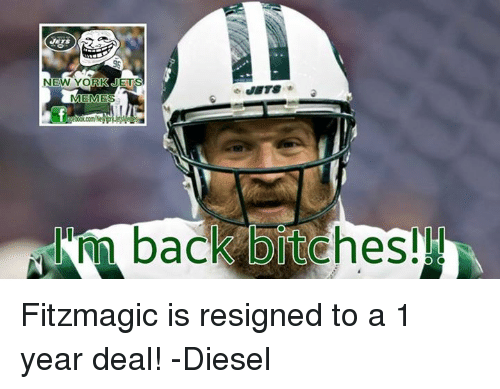 14 Free agent Position: Moron Personal information Birth name: Ryan 6 Picks Fitzpatrick Date of birth: November 24, 1982 (age 33) Place of birth: Gilbert, Arizona Date of death: 2016 Place of death: Kansas City, Missouri Height: 6 ft 2 in (1.88 m Weight: 223 lb (101 kg) Career information High school Gilbert (AZ) Highland College: Harvard NFL Draft: 2005 Round: 7 Pick: 250 Career history Cincinnati Bengals (2007-2008) Buffalo Bills (2009-2012) Tennessee Titans (2013) Houston Texans (2014) New York Jets (2015-that game against the chiefs) Roster status: Retired LOL who did this?? 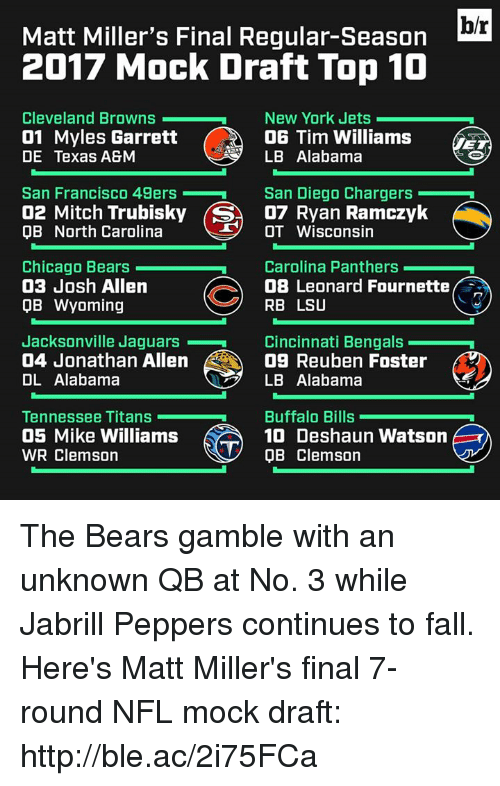 San Francisco 49ers, A'Shawn Robinson, and Apple: MATT MILLER'S 2016 NFL MOCK DRAFT CHICAGO BEARS TENNESSEE TITANS WASHINGTON REDSKINS AYLON SMITH 21 DE ASHAWN ROBINSON LAREMYTUNSIL 11 LB 01 OT ALABAMA NOTRE DAME OLE MISS HOUSTON TEXANS NEW ORLEANS SAINTS CLEVELAND BROWNS 12 CB VERNON HARGREAVES 22 WR LAQUON TREADWELL OLE MISS CARSON WENTZ 02 QB FLORIDA ND STATE MINNESOTA VIKINGS PHILADELPHIA EAGLES SAN DIEGO CHARGERS JACK ON 23 OT 13 QB 03 CB JALEN RAMSEY MICHIGAN STATE FLORIDA STATE MEMPHIS CINCINNATI BENGALS OAKLAND RAIDERS 24 WR BRAXTON MILLER DALLAS COWBOYS 14 CB ELI APPLE 04 DE JOEY BOSA OHIO STATE PITTSBURGH STEELERS OHIO STATE OHIO STATE 25 OT TAYLOR DECKER LOS ANGELES RAMS JACKSONVILLE JAGUARS MYLES JACK 15 WR MICHAEL THOMAS SEATTLE SEAHAWKS 05 LB OHIO STATE UCLA OHIO STATE A 26 WR COREY COLEMAN BALTIMORE RAVENS DETROIT LIONS BAYLOR 06 OT RONNIE STANLEY 16 DT SHELDON RANKINS GREEN BAY PACKERS 27 DE KEVIN DODD LOUISVILLE NOTRE DAME ATLANTA FALCONS SAN FRANCISCO 49ERS CLEMSON 17 LB JARED GOFF REGGIE RAGLAND 07 QB KANSAS CITY CHIEFS JERALD HAWKINS 28 OT ALABAMA CAL INDIANAPOLIS COLTS MIAMI DOLPHINS LSU SHAO LAWSON ARIZONA CARDINALS 08 CB MACKENSIE ALEXANDER 18 DE 29 DE JONATHAN BULLARD CLEMSON CLEMSON FLORIDA BUFFALO BILLS TAMPA BAY BUCCANEERS CAROLINA PANTHERS DARRON LEE 19 LB 09 DE NOAH SPENCE DARIAN THOMPSON 30 FS OHIO STATE EASTERN KENTUCKY BOISE STATE NEW YORK GIANTS NEW YORK JETS DENVER BRONCOS 10 DE DEFOREST BUCKNER EZEKIEL ELLIOTT 31 OG CODY WHITE HAIR 20 RB OREGON OHIO STATE KANSAS STATE bleacher report Our latest mock draft! Which player is your team getting?? 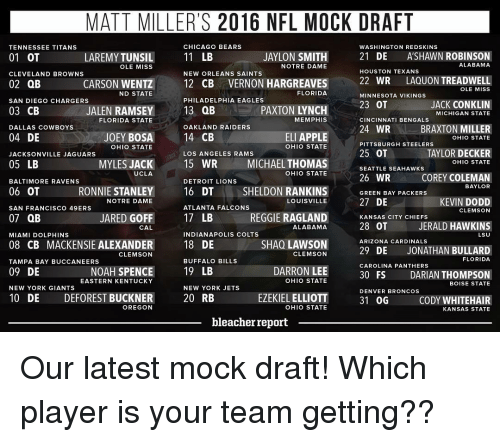 Our latest mock draft! Which player is your team getting?? 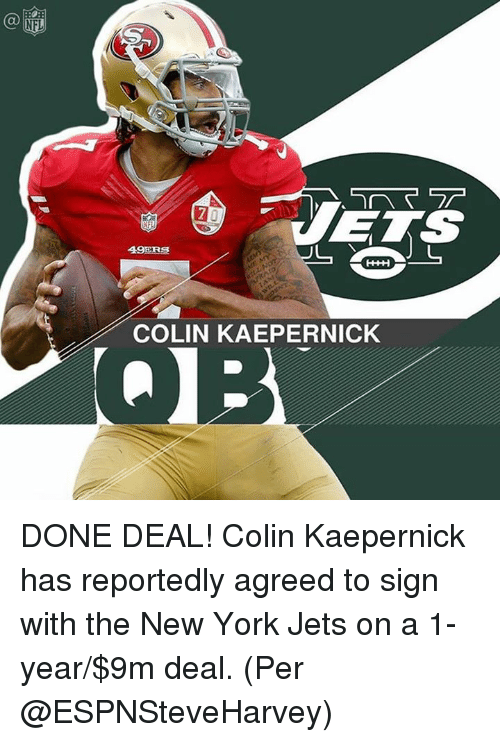 Colin Kaepernick, New York, and New York Jets: 49ERS THOUGH LL No RAID Colin Kaepernick reportedly wants out of San Francisco, and is looking to join the New York Jets, per @nydailynews. 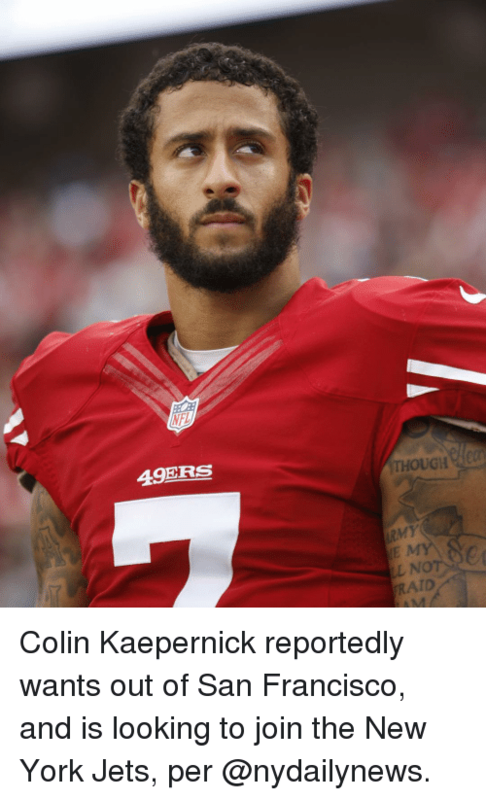 Colin Kaepernick reportedly wants out of San Francisco, and is looking to join the New York Jets, per @nydailynews. San Francisco 49ers, Arizona Cardinals, and Atlanta Falcons: 1. CAROLINA PANTHERS 2. ARIZONA CARDINALS 3. NEW ENGLAND PATRIOTS 4. SEATTLE SEAHAWKS 5. KANSAS CITY CHIEFS 6. DENVER BRONCOS 7. CINNCINATI BENGALS 8. PITTSBURGH STEELERS 9. MINNESOTA VIKINGS 10. GREEN BAY PACKERS 11. WASHINGTON REDSKINS 12. 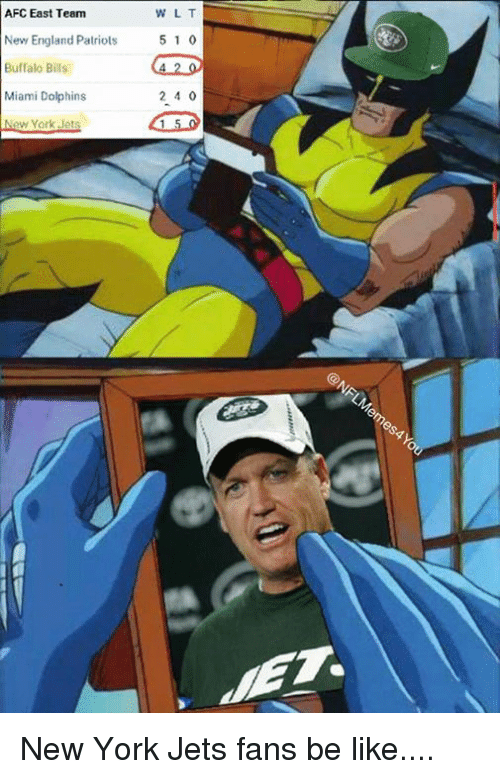 NEW YORK JETS 13. HOUSTON TEXANS 14. OAKLAND RAIDERS 15. BUFFALO BILLS 16. DETROIT LIONS 17. ATLANTA FALCONS 18. NEW ORLEANS SAINTS 19. INDIANAPOLIS COLTS 20. TAMPA BAY BUCCANEERS 21. NEW YORK GIANTS 22. PHILADELPHIA EAGLES 23. ST. LOUIS RAMS 24. CHICAGO BEARS 25. JACKSONVILLE JAGUARS 26. MIAMI DOLPHINS 27. BALTIMORE RAVENS 28. SAN DIEGO CHARGERS 29. 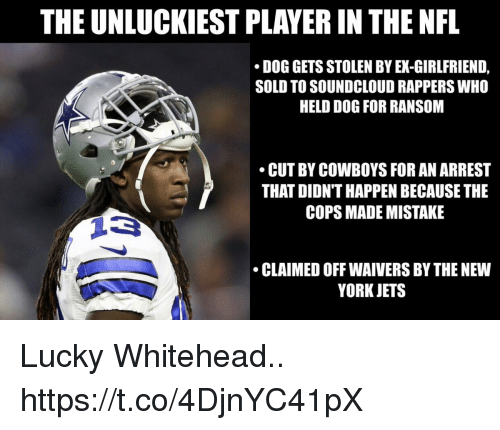 DALLAS COWBOYS 30. TENNESSEE TITANS 31. SAN FRANCISCO 49ERS 32. 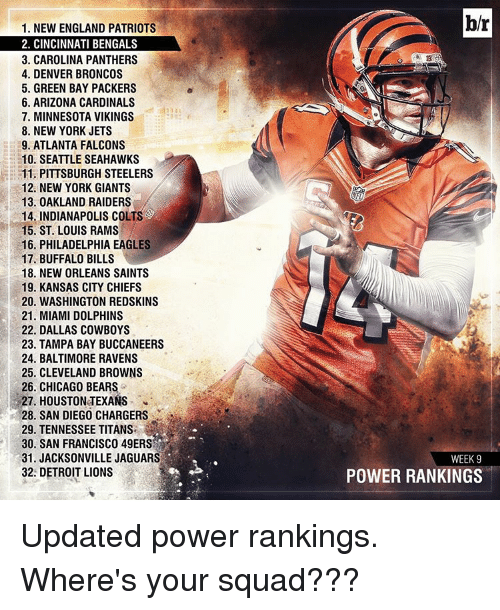 CLEVELAND BROWNS b/r WEEK 17 POWER RANKINGS Where's your squad??? 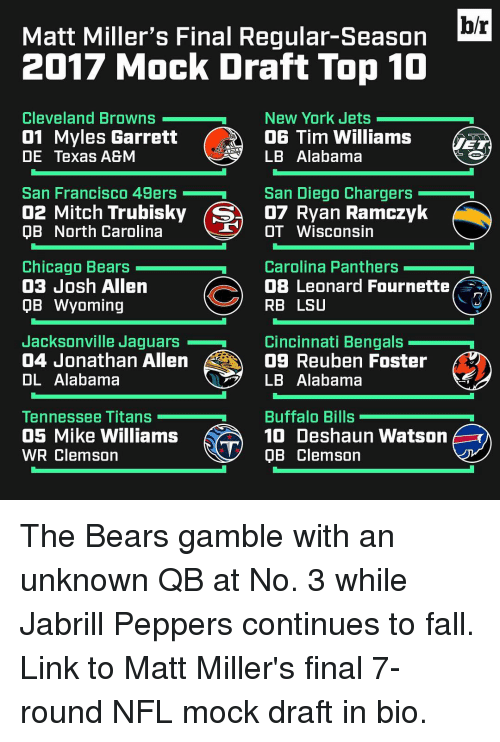 San Francisco 49ers, A'Shawn Robinson, and Apple: MATT MILLER S MOCK DRAFT NEW ORLEANS SAINTS SEATTLE SEAHAWKS TENNESSEE TITANS WILL FULLER R. NKEMDICHE 22 WR 01 OT LAREMY TUNSIL 12 DL OLE MISS OLE MISS NOTRE DAME CLEVELAND BROWNS PHILADELPHIA EAGLES GREEN BAY PACKERS 02 DE JOEY BOSA 13 DE SHAQ LAWSON 23 DE JONATHAN ALLEN OHIO STATE CLEMSON ALABAMA KANSAS CITY CHIEFS SAN DIEGO CHARGERS OAKLAND RAIDERS RONNIE STANLEY 14 LB JAYLON SMITH 24 LB REGGIE RAGLAND 03 OT ALABAMA NOTRE DAME NOTRE DAME ST. LOUIS RAMS WASHINGTON REDSKINS DALLAS COWBOYS L. TREADWELL 25 DT 04 QB PAXTON LYNCH 15 KENNY CLARK WR UCLA MEMPHIS OLE MISS DETROIT LIONS JACKSONVILLE JAGUARS HOUSTON TEXANS JACK CONKLIN 26 RB EZEKIEL ELLIOTT 05 CB HARGREAVES III 16 OT MICHIGAN STATE OHIO STATE FLORIDA BALTIMORE RAVENS ATLANTA FALCONS MINNESOTA VIKINGS DARRON LEE 27 WR MICHAEL THOMAS 06 CB M. ALEXANDER 17 LB CLEMSON OHIO STATE OHIO STATE SAN FRANCISCO 49ERS INDIANAPOLIS COLTS CINCINNATI BENGALS 07 QB JARED GOFF 18 CB ELI APPLE 28 SS VONN BELL CALIFORNIA OHIO STATE OHIO STATE MIAMI DOLPHINS BUFFALO BILLS DENVER BRONCOS TAYLOR DECKER 29 OG CODY WHITEHA 08 CB JALEN RAMSEY 19 OT FLORIDA STATE KANSAS STATE OHIO STATE NEW YORK JETS TAMPA BAY BUCCANEERS ARIZONA CARDINALS D. BUCKNER 20 OT JERALD HAWKINS 30 DT ASHAWN ROBINSON 09 DL OREGON LSU ALABAMA NEW YORK GIANTS PITTSBURGH STEELERS CAROLINA PANTHERS MYLES JAC K 21 NT ON COLEMAN 10 LB JARRAN FREED 31 OT ALABAMA AUBURN UCLA CHICAGO BEARS NEW ENGLAND PATRIOTS STRIPPED OF PICK 11 EDGE LEONARD FLOYD hr GEORGIA NFL Draft season is here. Who is your team taking in the first round? 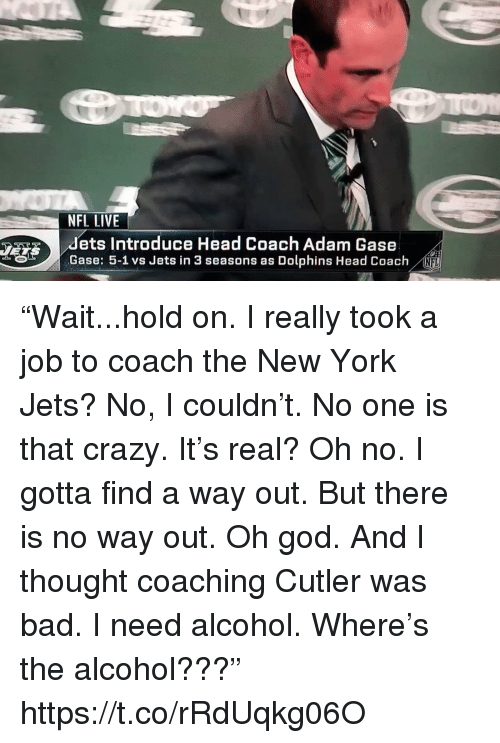 NFL Draft season is here. 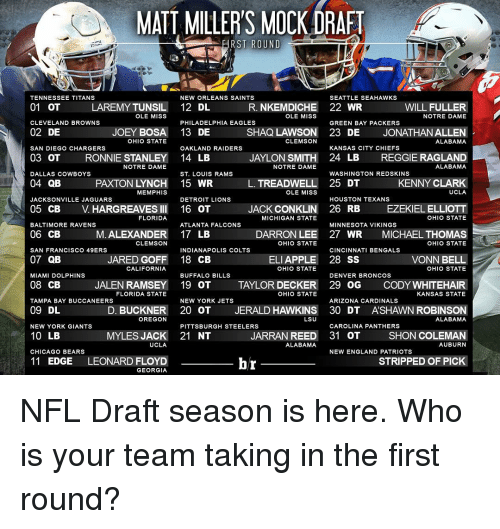 Who is your team taking in the first round? San Francisco 49ers, Arizona Cardinals, and Atlanta Falcons: 1. CAROLINA PANTHERS 2. ARIZONA CARDINALS 3. CINCINNATI BENGALS 4. 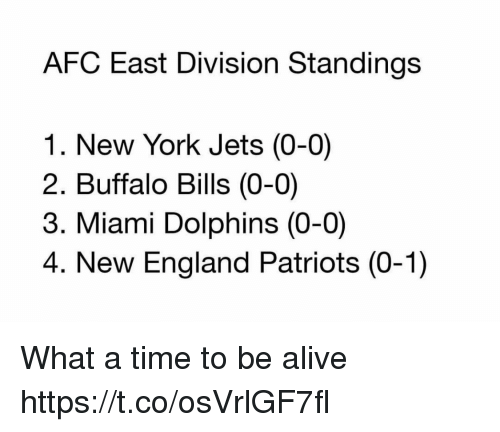 NEW ENGLAND PATRIOTS 5. DENVER BRONCOS 6. SEATTLE SEAHAWKS 7. PITTSBURGH STEELERS 8. KANSAS CITY CHIEFS 9. GREEN BAY PACKERS 10. MINNESOTA VIKINGS 11. 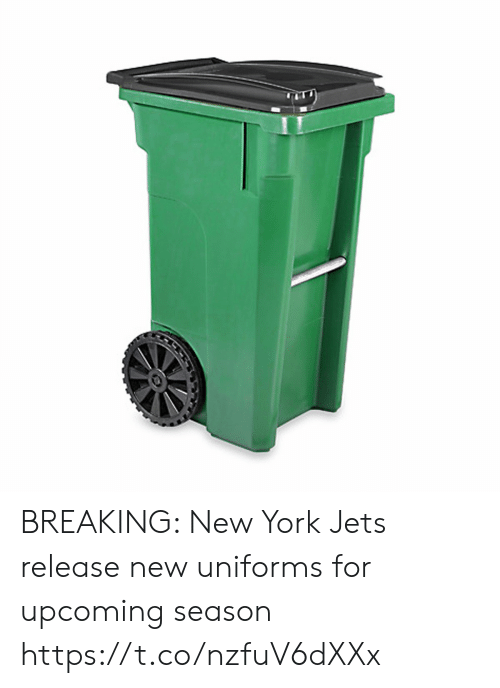 NEW YORK JETS 12. BUFFALO BILLS 13. TAMPA BAY BUCCANEERS 14. HOUSTON TEXANS 15. INDIANAPOLIS COLTS 16. OAKLAND RAIDERS 17. WASHINGTON REDSKINS 18. 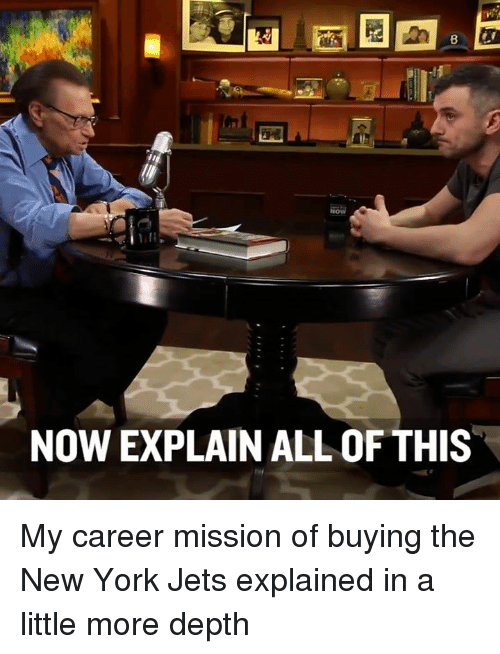 NEW YORK GIANTS 19. CHICAGO BEARS 20. 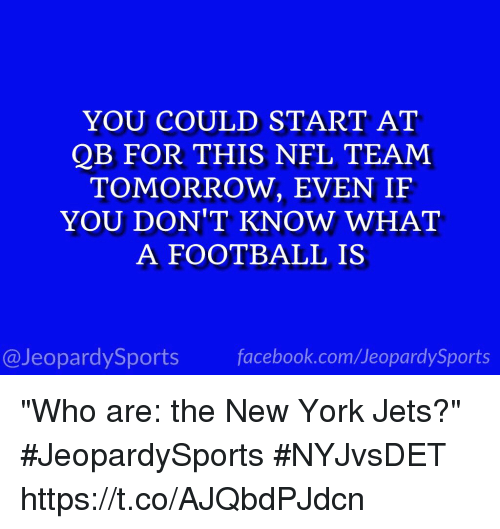 DETROIT LIONS 21. PHILADELPHIA EAGLES 22. 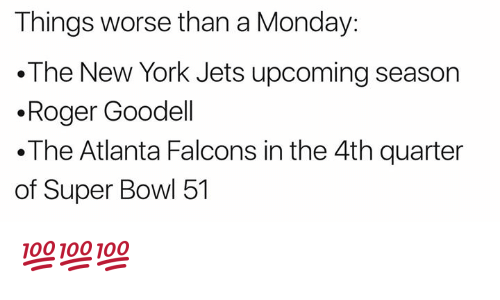 ATLANTA FALCONS 23. 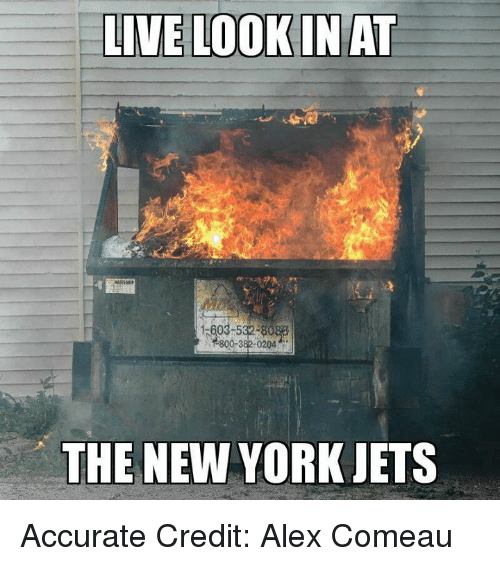 TENNESSEE TITANS 24. MIAMI DOLPHINS 25. NEW ORLEANS SAINTS 26. SAN FRANCISCO 49ERS 27. DALLAS COWBOYS 28. JACKSONVILLE JAGUARS 29. SAN DIEGO CHARGERS 30. BALTIMORE RAVENS 31. ST. LOUIS RAMS 32. 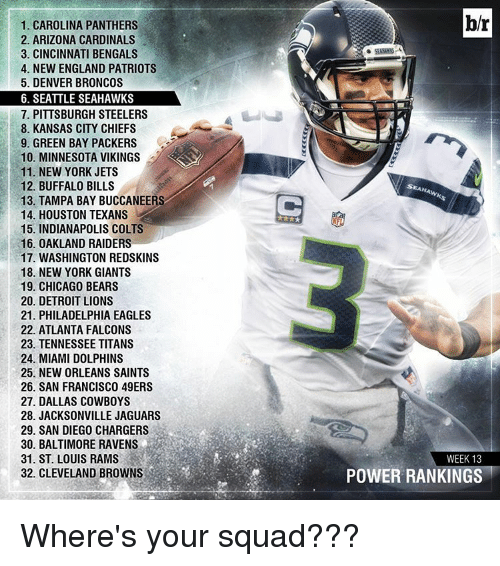 CLEVELAND BROWNS b/r SEAHAWKS WEEK 13 POWER RANKINGS Where's your squad??? San Francisco 49ers, Arizona Cardinals, and Atlanta Falcons: 1. CAROLINA PANTHERS 2. 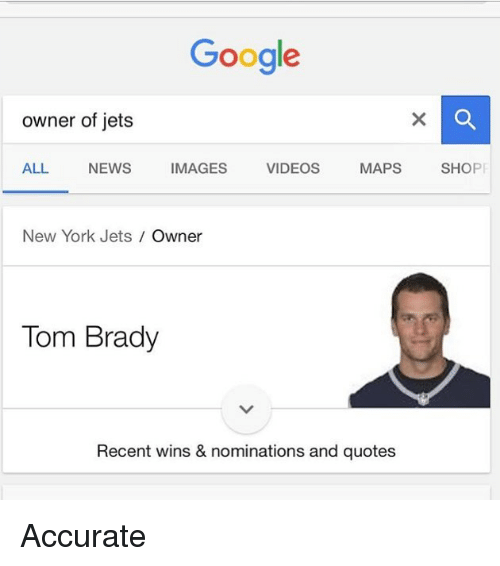 NEW ENGLAND PATRIOTS 3. ARIZONA CARDINALS 4. CINCINNATI BENGALS 5. DENVER BRONCOS 6. MINNESOTA VIKINGS 7. GREEN BAY PACKERS 8. KANSAS CITY CHIEFS 9. SEATTLE SEAHAWKS 10. PITTSBURGH STEELERS 11. 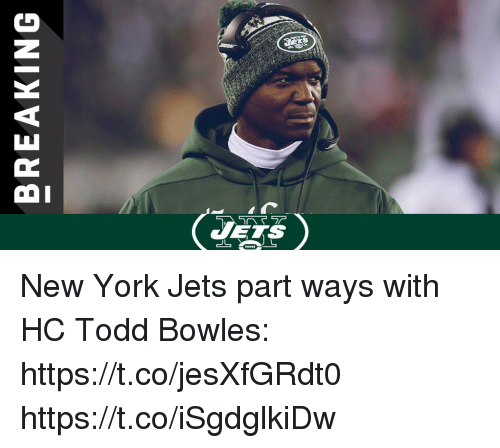 NEW YORK JETS 12. INDIANAPOLIS COLTS 13. OAKLAND RAIDERS 14. HOUSTON TEXANS 15. CHICAGO BEARS 16. NEW YORK GIANTS 17. WASHINGTON REDSKINS 18. 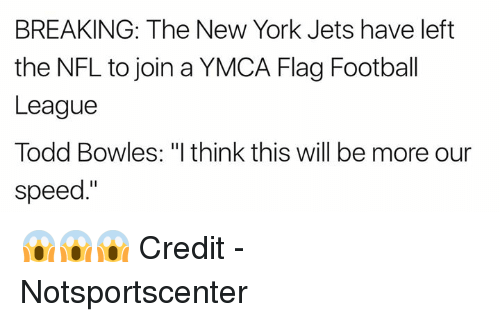 ATLANTA FALCONS 19. TAMPA BAY BUCCANEERS 20. BUFFALO BILLS 21. DETROIT LIONS 22. JACKSONVILLE JAGUARS 23. SAN DIEGO CHARGERS 24. NEW ORLEANS SAINTS 25. ST. LOUIS RAMS 26. MIAMI DOLPHINS 27. PHILADELPHIA EAGLES 28. DALLAS COWBOYS 29. BALTIMORE RAVENS 30. TENNESSEE TITANS 31. 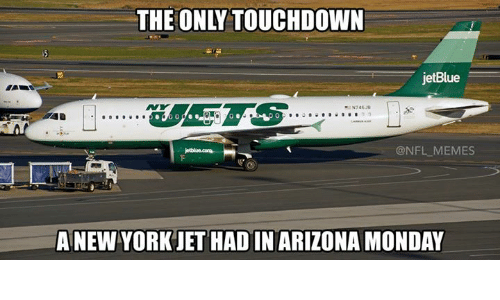 SAN FRANCISCO 49ERS 32. 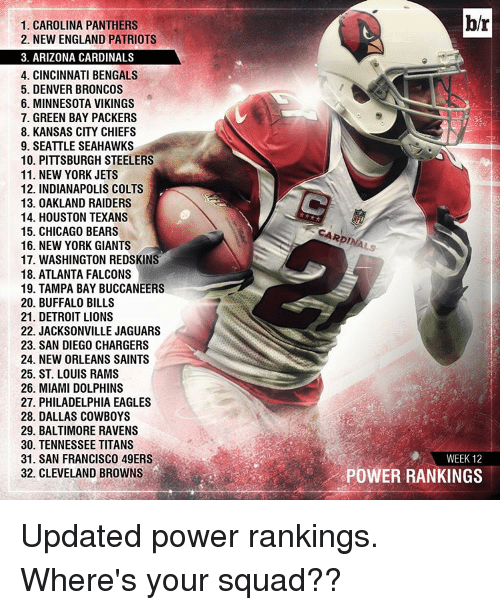 CLEVELAND BROWNS CARDINALS WEEK 12 POWER RANKINGS Updated power rankings. 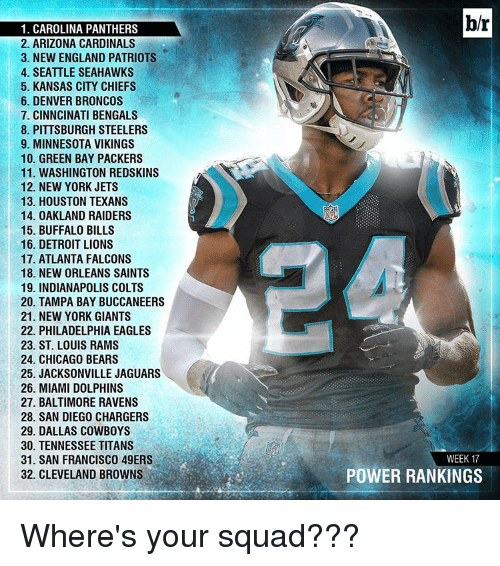 Where's your squad?? 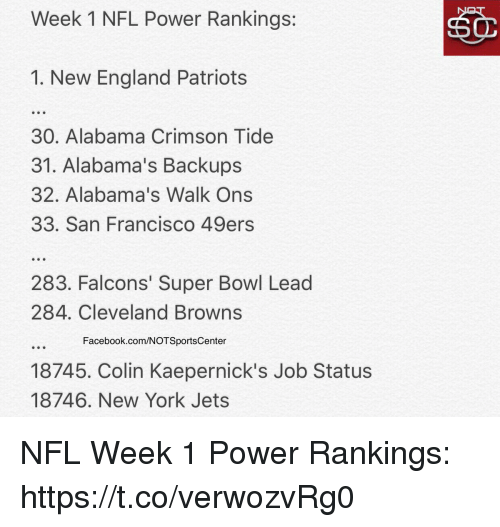 Updated power rankings. Where's your squad?? San Francisco 49ers, Arizona Cardinals, and Atlanta Falcons: 1. 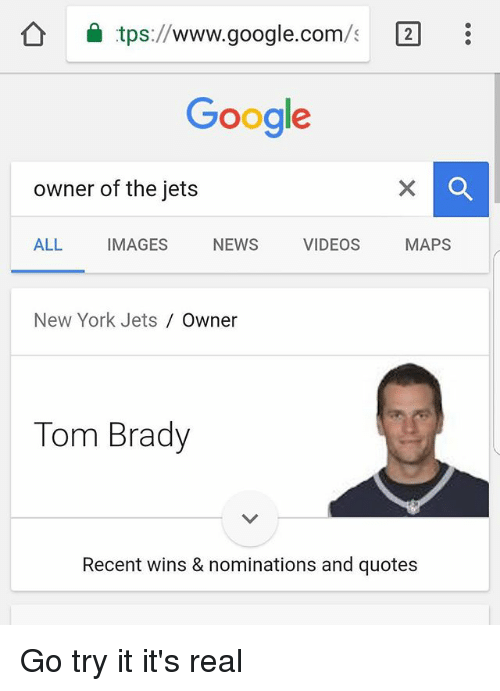 NEW ENGLAND PATRIOTS 2. 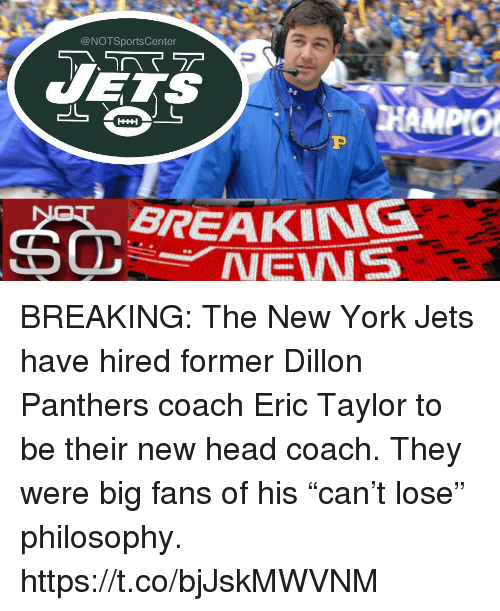 CAROLINA PANTHERS 3. MINNESOTA VIKINGS 4. ARIZONA CARDINALS 5. 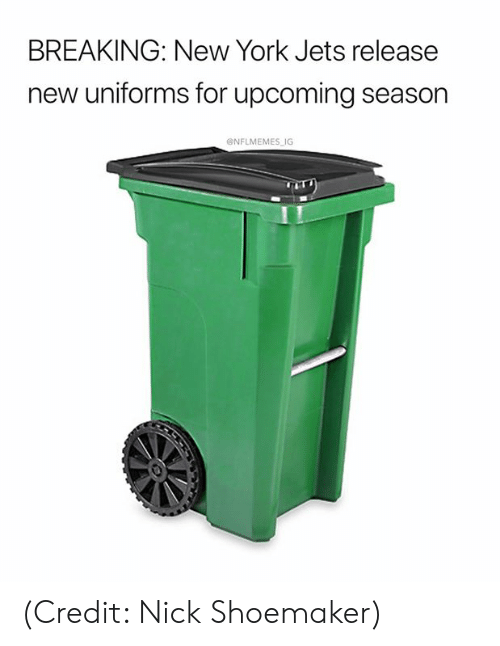 CINCINNATI BENGALS 6. DENVER BRONCOS 7. PITTSBURGH STEELERS 8. 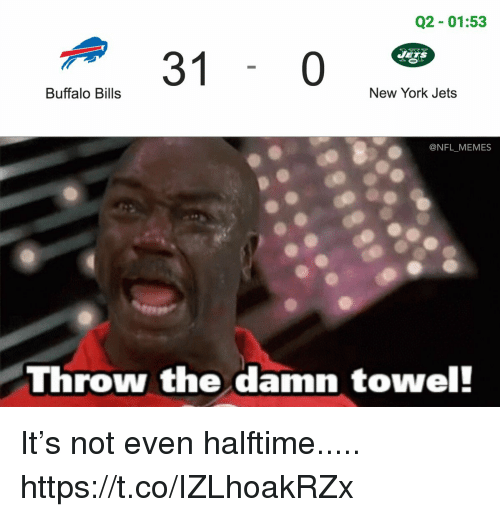 BUFFALO BILLS 9. GREEN BAY PACKERS 10. NEW YORK GIANTS 11. SEATTLE SEAHAWKS 12. INDIANAPOLIS COLTS 13. 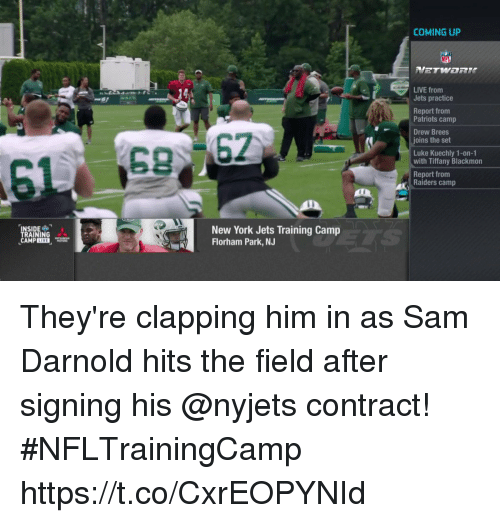 NEW YORK JETS 14. WASHINGTON REDSKINS 15 CHICAGO BEARS 16. PHILADELPHIA EAGLES 17. ATLANTA FALCONS 18. KANSAS CITY CHIEFS 19. NEW ORLEANS SAINTS 20. ST. LOUIS RAMS 21. MIAMI DOLPHINS 22. OAKLAND RAIDERS 23. HOUSTON TEXANS 24. TENNESSEE TITANS 25. TAMPA BAY BUCCANEERS 26. BALTIMORE RAVENS 27. DETROIT LIONS 28. SAN DIEGO CHARGERS 29. 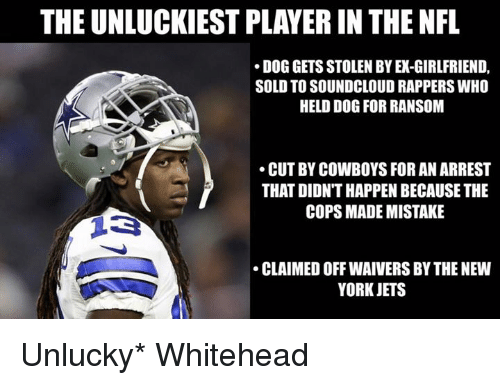 DALLAS COWBOYS 30. SAN FRANCISCO 49ERS 31. JACKSONVILLE JAGUARS 32. 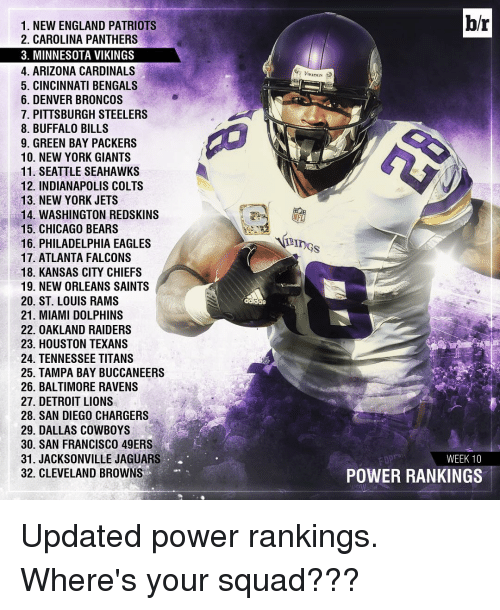 CLEVELAND BROWNS VIKINGS b/r WEEK 10 POWER RANKINGS Updated power rankings. Where's your squad??? Updated power rankings. Where's your squad??? San Francisco 49ers, Arizona Cardinals, and Atlanta Falcons: 1. 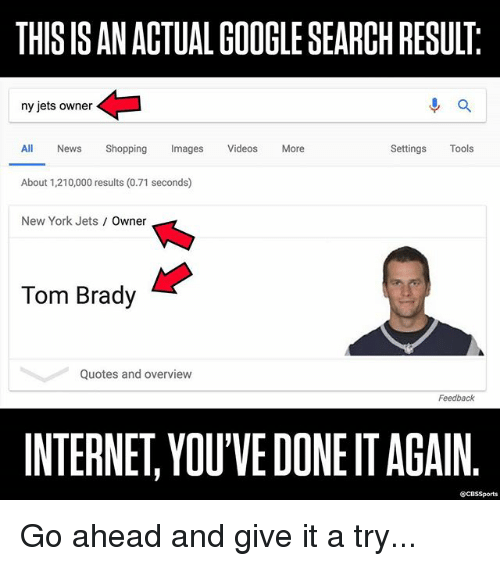 NEW ENGLAND PATRIOTS 2. CINCINNATI BENGALS 3. CAROLINA PANTHERS 4. DENVER BRONCOS 5. GREEN BAY PACKERS 6. ARIZONA CARDINALS 7. 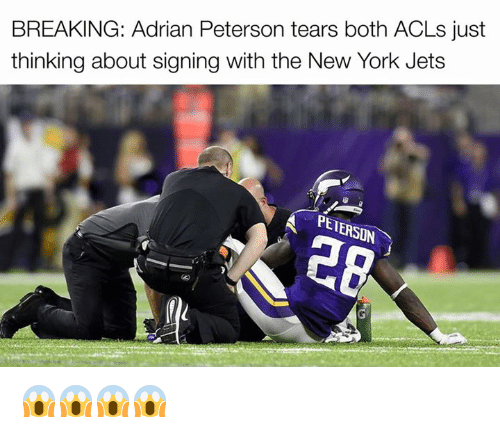 MINNESOTA VIKINGS 8. 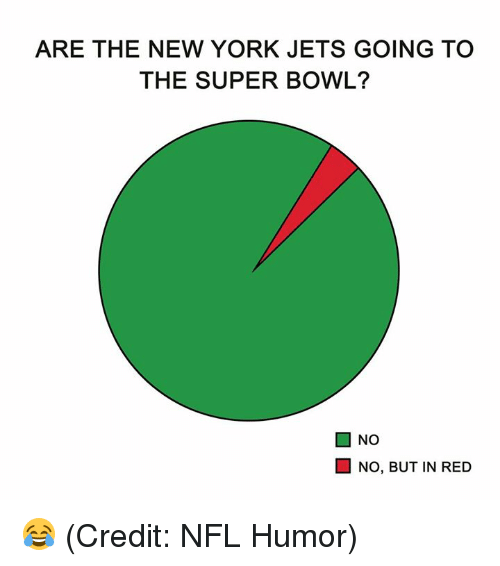 NEW YORK JETS 9. 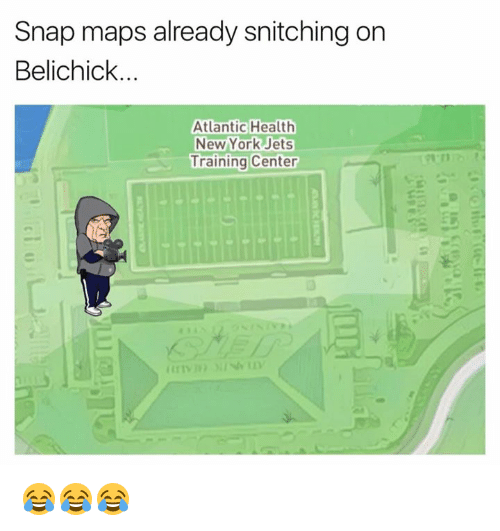 ATLANTA FALCONS 10. 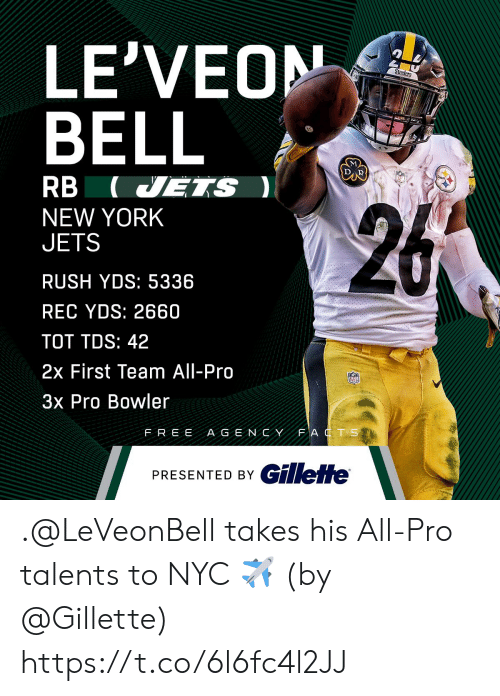 SEATTLE SEAHAWKS 11, PITTSBURGH STEELERS 12. NEW YORK GIANTS 13. OAKLAND RAIDERS 14, INDIANAPOLIS COLT 15. ST. LOUIS RAMS 16. PHILADELPHIA EAGLES 17. 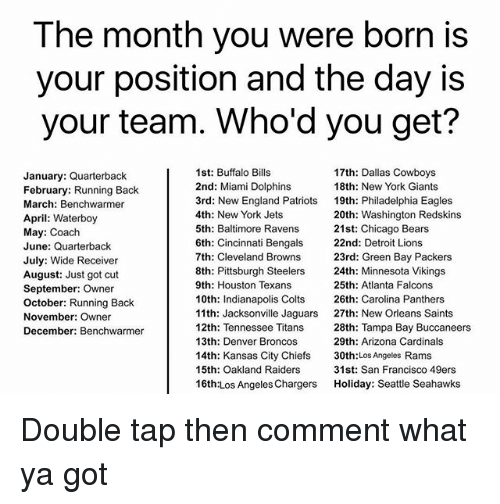 BUFFALO BILLS 18. NEW ORLEANS SAINTS 19. KANSAS CITY CHIEFS 20. WASHINGTON REDSKINS 21. MIAMI DOLPHINS 22. DALLAS COWBOYS 23. TAMPA BAY BUCCANEERS 24. BALTIMORE RAVENS 25. CLEVELAND BROWNS 26. CHICAGO BEARS 27, HOUSTON TEXANS 28. SAN DIEGO CHARGERS 29. TENNESSEE TITANS 30. SAN FRANCISCO 49ERS 31. 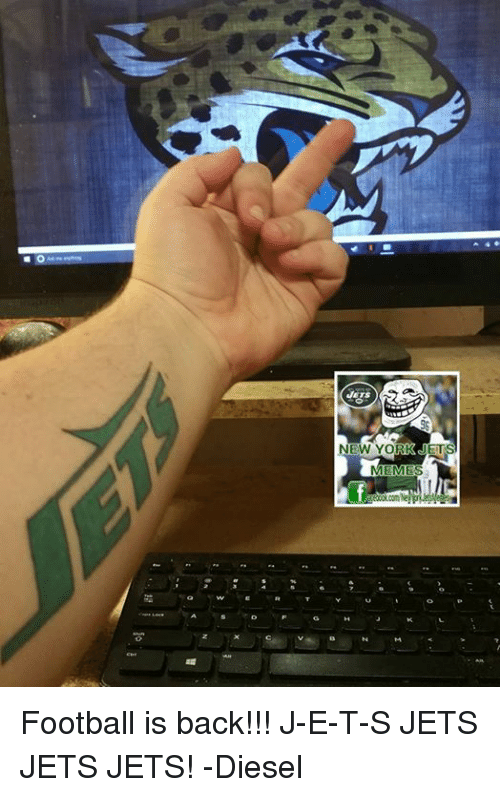 JACKSONVILLE JAGUARS 32: DETROIT LIONS b/r WEEK 9 POWER RANKINGS Updated power rankings. Where's your squad?? ?